Medical Office Cleaning – 3 Details To Consider! When selecting a Medical Office Cleaning company, it’s important to ensure all your required tasks are clearly communicated. Janitorial provider’s should listen, consult, and iterate the cleaning task list as much as you require. Their priority should be ensuring your expectations are met. Also, make sure this task list is in writing and contractual. Finally, even after the contract has started, a strong line of communication should be open so that adjustments to the task list can be made as needed. While the cleaning task list is important, there are other details that are vital to a successful cleaning service. Such details should be clearly understood so that you are 100% confident as to how operations are occurring. While there are many to consider, we would like to highlight three. Your cleaning company should have the experience to recommend the appropriate series of cleaning products. You should be confident in their effectiveness in cleaning your medical facility. What will the floors be cleaned with? Will a disinfectant floor cleaner be utilized? How about kitchenettes and bathrooms? Will terminal cleanings be required? If so, what is the agreed upon cleaning product for this application? How about office areas? Will phones and keyboards be disinfected? What cleaning product will be used for these? How about patient rooms? How will patient tables, chairs, doctor’s counters and the like be cleaned and with what product? These questions will help you have a productive conversation with your medical office janitorial provider. Medical Office cleaning services are not ‘set it and forget it’. Quite the contrary. Your janitorial service provider should relay clearly when quality inspections will occur, how often they will occur, and who will be performing them. Further, you should determine if inspections are documented by your cleaning company. Finally, understanding how quality corrections and re-training of cleaning crews are accomplished is important. 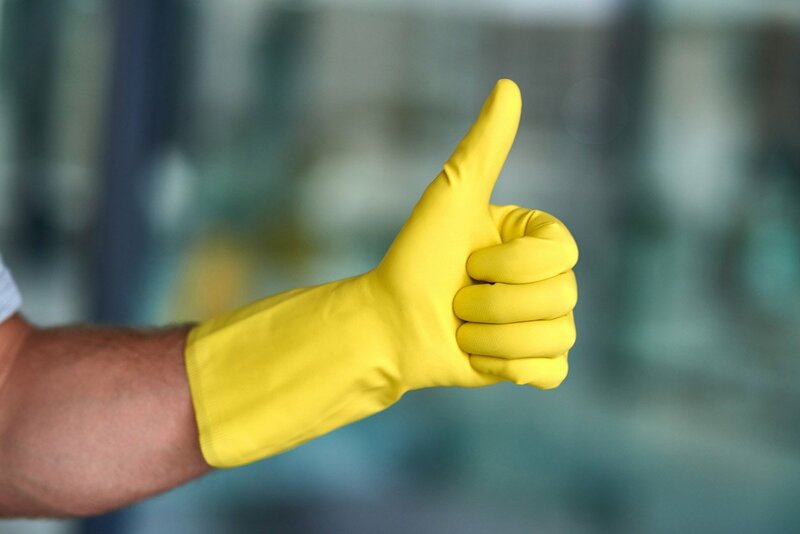 This level of transparency builds a solid relationship with your cleaning service provider. Ensuring you understand exactly how and with who to communicate with if you need help, have an incident, or wish to make a change is important. This step might seem obvious, however, your cleaning company should formally state to you the best means of communication. Is it via e-mail? A phone call? A web contact form? Who will respond to such communication? How quickly will the janitorial provider respond? Conversely, your medical office cleaning provider should also ensure with whom they should contact within your organization for all needs. Finally, Service recipient’s should provide their cleaning company with both primary and backup contact information. Foreman Pro cleaning is your full service medical office cleaning specialists. We have a strong portfolio of happy medical industry clients including Dentists, Doctor’s Offices, Pediatric Suites, Urgent Care Centers, and the like. If you wish to have an ultra-responsive cleaning company in your medical facility, we encourage you to Contact Us today. We offer our full line of Commercial Cleaning and Janitorial services in Maryland, D.C., and Virginia. Some of the cities we service in Maryland include Annapolis, Baltimore, Bethesda, Bowie, College Park, Columbia, Crofton, Glen Burnie, Pasadena, Severna Park and more. Some of the cities we service in Virginia include Hampton, Newport News, Norfolk, Portsmouth, Virginia Beach, Williamsburg, Yorktown and more. What Is a Critical Environment? Office Deep Cleanings – How Important Are They?